[/img] I had this spot in my mind all winter long which is not done yet more snow this weekend but I'm glad I got out .This spot had gave up about 20 wheat's all teens no Indians?. The area is 100 by a 100 3 inches of granite over grass it's just grass now the gravel has sunk . All signals where jumpy ctx signals range from 36 to 43 with a iron buzz with all targets some had nails in the hole one target with nothing with it at 3 inches read a solid 36 curser red turn out to be a barber dime had to be on edge the nox read 19. 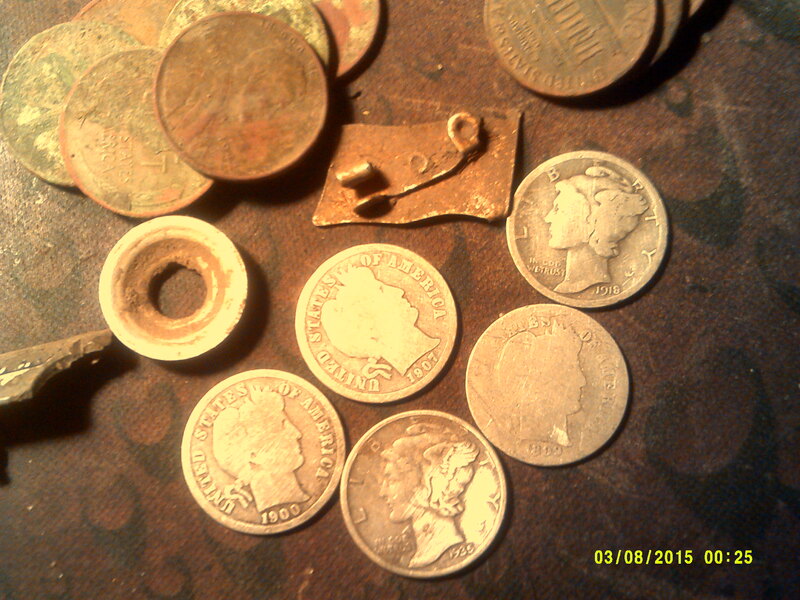 All targets were found and check with both detectors the nox was very jumpy negative #s to 30s extremely poor ids the ctx kept the coins in the coin range there most be a lot of iron in that granite. My friend was using the nox which I had let him use last year so he's got a good handle on it we both were running the 6 inch coil .He did get a 35 merc and 6 wheats and some clad . 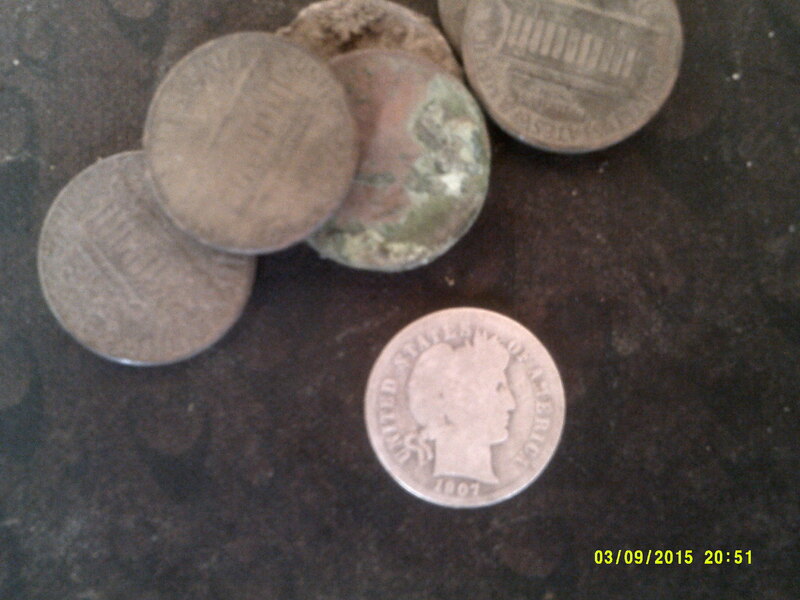 I also got 6 wheats and some clad and the silver I have posted. Edited 1 time(s). Last edit at 03/27/2019 07:41PM by sube. Good to see you getting out again. The weather is just now starting to co-operate around here. Sube....I assume your camera date isn’t exactly set correctly?